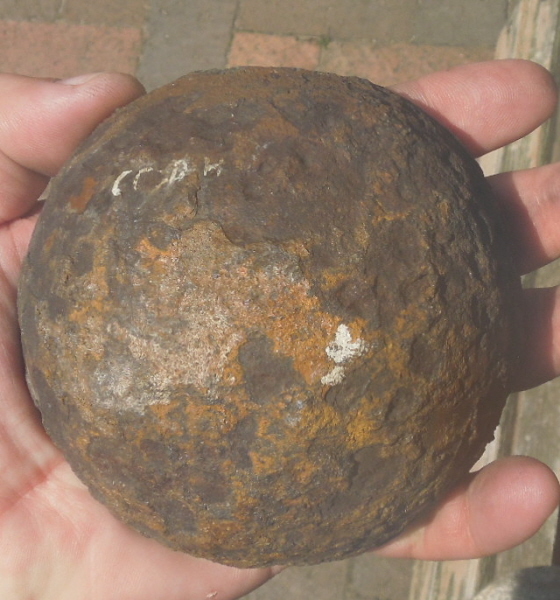 Description:Half section of a 12pdr case shot shell with absolutely CS attributes. 2. There is a rebate underneath the Bormann fuse. This is 100% CS and was done to insert a gasket to help prevent premature detonation. It didn't work and the use of CS Bormann fuses was discontinued in late 1862 (although a few already in the field still got used later). You can see the rebate in the section under the 2 "corners" of the fuse. 3. The case shot is in the "English Method" form. An English Colonel by the name of Shrapnel (yes) invented the case shot shell, but he just mixed the balls with the powder. 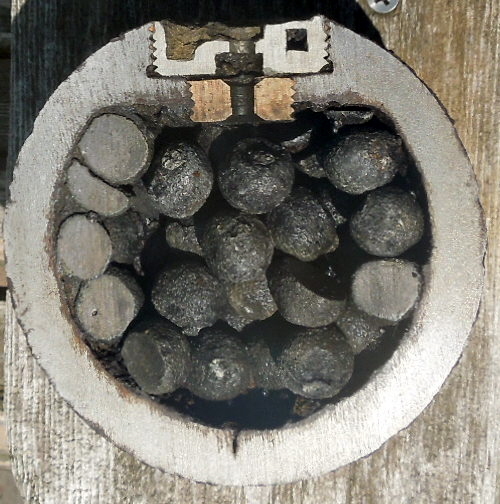 Later it was found to be more effective to drill through the lead shot fixed in solid matrix to make a cylindrical powder cavity. You cannot make a powder cavity in loose shot. So, what we have here is an early, Confederate Bormann fused shell. It is not so early as to not have the rebate so I am guessing late 1861 manufacture. The shot are loose, but they are the exact shot from the half of the shell when it was cut (I had it cut and have all the bits). I washed out a lot of the powder but there is still some residue.